"[I had] sought to do my work in a way that will reflect credit on all women who are working to build a finer and better life. I have always wanted to be womanly because I think that it is only when we look deep within our own nature and express our womanly quality that we can do our full share in this great task of building a better life." 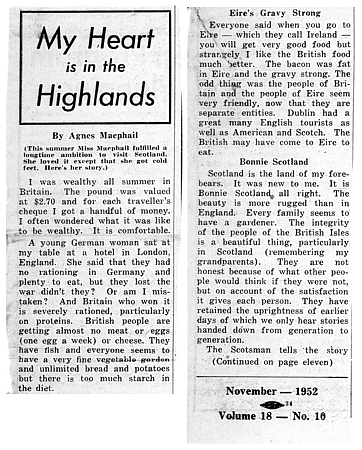 Agnes was born in Proton Township, South Grey County, Ontario, to proud Scottish parents. Her mother, Henrietta, was a Campbell, and her father's family, part of the Clan Phail, one of four families that form part of the ancient Clan Chattan Federation from Lochaber, hailed from Argyll. 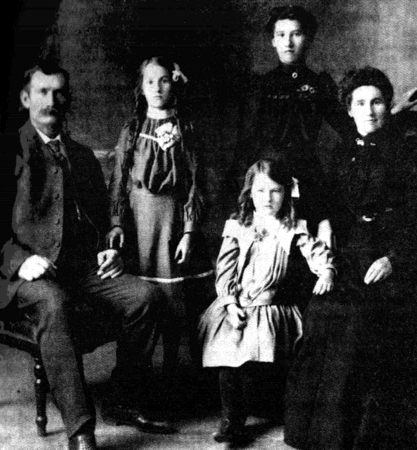 Dugald McPhail married Henrietta in 1889, and they started their lives together in a low-lying log house. The McPhail home was a social gathering place at which men discussed farm politics while the women conversed about domestic events. Agnes admired her father's insight and wit, but wondered later if family responsibilities had limited his potential to contribute to society. Already in rebellion against the trap of marriage, Agnes resolved at that young age to make a difference of some kind, "in addition, or in the place of, having children ... [and] doing some work as a person." Although the family maintained a stoic emotional fa�ade, Agnes recognized the strengths her parents had given her: "Perhaps if I owed him [Dugald] the ability to get into Parliament," she wrote in her unpublished autobiography, "I owed her [Henrietta] the ability to stand it when I got there." Agnes and her two younger sisters, Lilly and Gertha, walked several miles to attend their local one-room school houses. When Agnes passed her high school entrance examination, she delighted in the prospect of becoming a teacher; however, it took two years to convince her parents to let her attend. At sixteen, then, she moved away from home to attend the Own Sound Collegiate Institute, where she became even more determined to work outside of the home. In 1908 she boarded with her aunt and uncle in Stratford, where she attended the Normal School for teachers. After gaining some teaching experience at a small town near Port Elgin, Agnes moved on to a school in Kinloss, where she gathered with farmers in the local hardware store to engage in political discussions. 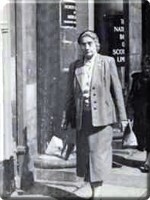 The men, who were interested in her opinions and encouraged her to express them, opened Agnes' mind to the possibility of doing something even more with her life than teaching. These ideas fomented in the back of her mind for ten years while she filled positions in various schools around southwestern Ontario, until she finally got caught up in the political atmosphere in Sharon. Agnes had grown up with groups of farmers discussing the issues of the day in her family's kitchen. But in Sharon, the atmosphere was electrifying. The agrarian community was grumbling over its plight, its needs going unrepresented in Parliament. The political excitement overcame Agnes, and it wasn't long after her arrival in 1920 before she joined the United Farmers of Ontario. When she began publishing letters to the editor in the Farmer's Sun, the county felt that her writing was a strong representative of its voice. The UFO had entered politics in a 1919 landslide, two years after five thousand farmers marched on Ottawa demanding agrarian reform. When it looked for a candidate to represent South-East Grey County in the 1921 parliamentary elections, its members saw MacPhail as someone who would speak honestly and clearly about issues critical to the farming community. Although the nomination was met with some protest, her autumn campaign meetings were overflowing. Still, Canadian women had just recently won federal voting rights in Ontario, and the early limelight was rarely flattering. The criticism sometimes wounded Agnes, but her fierce Scottish independence and determination kept her from backing down and retreating. 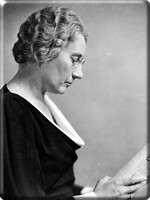 Agnes MacPhail was the first woman to be elected into federal parliament. 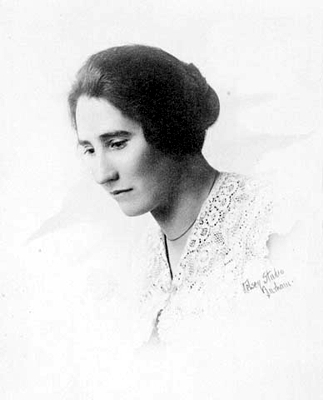 Her introduction the House of Commons in 1922 was accompanied by mixed messages: although some of her male colleagues welcomed her, many others resented her intrusion. Touched to find a bouquet of roses on her desk, Agnes learned later that the MP who placed them there had done so as a payoff for losing a bet that she would not win the election. Although she eventually befriended many members of the House, she faced staunch opposition from some who begrudged her from the start. Yet Agnes never faltered in her fierce resolve. Her voice became her weapon of choice, and it felled many enemies when she wielded it at the speaker's podium. 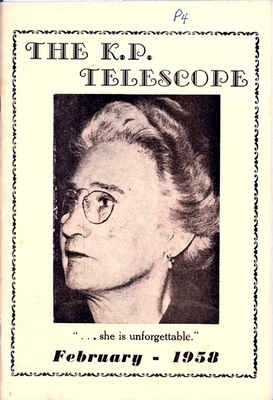 "Her voice," reported the Toronto Telegram, "had the quality of a viola, deep and compassionate and heart-catching... Agnes MacPhail, standing to denounce injustice or deride pettiness from her place in the Commons of Canada, spoke in tones that echo unforgotten across the years." In office, MacPhail challenged opponents by demanding equal rights, financial recognition and fair treatment for farmers while maintaining strong ties to her constituency. Carrying her humanitarian agrarian ideals into other spheres, she relentlessly battled on behalf of marginalized groups such as children, women, prisoners, and immigrants. 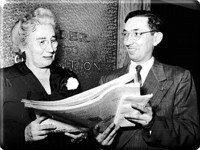 After a particularly lengthy and draining campaign, the House finally passed the prison reform Penitentiary Bill in 1939, which contained eighty-eight recommendations that fulfilled Agnes' intentions to "give us a penal system which reforms as well as disciplines." 2 Her concern for women in the penal system also led her to found the Elizabeth Fry Society of Canada the same year the bill was passed. As a champion of international peace, she spoke at anti-war rallies and raised her concerns at National Strategy meetings. 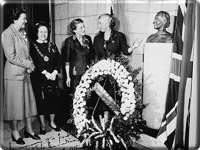 Her commitment to peace led to her nomination as the first Canadian woman delegate to the League of Nations in 1929. Upon her arrival, she refused her appointment on a women's and children's health and welfare committee and instead insisted on sitting on the World Disarmament Committee, where her ideas earned the admiration of her colleagues. Peace, however, did not always equate to pacifism, and she felt obliged to vote for Canada's entry into the Second World War. MacPhail's federal career came to an end in 1940 when she was narrowly defeated by the Progressive Conservative candidate. 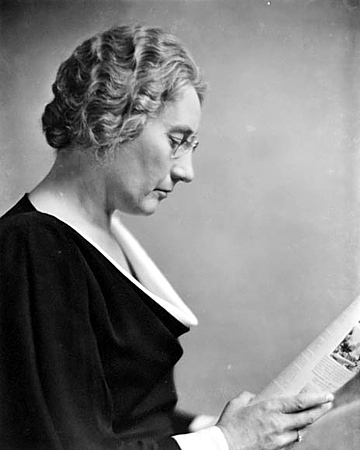 Senator Cairine Wilson remarked that the defeat was a setback for all Canadian women, and political commentators in Toronto and Ottawa were equally sorry to see her go: "What she said [in the House of Commons] was usually an antidote to the extravagance of mere males who failed to see an issue clearly and see it as a whole," said an article in the Ottawa Citizen. 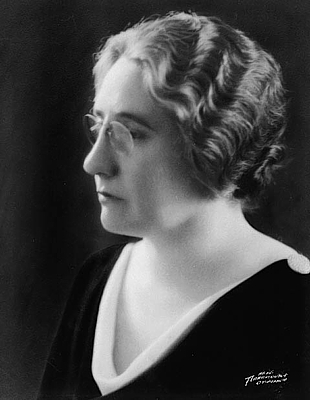 "One of the flaws of the democratic system is that so valuable a representative as Agnes MacPhail can be dismissed from public service in such summary fashion." Suddenly unemployed at the age of fifty, Agnes had no intention to abandon either politics or the causes to which she had devoted her life. 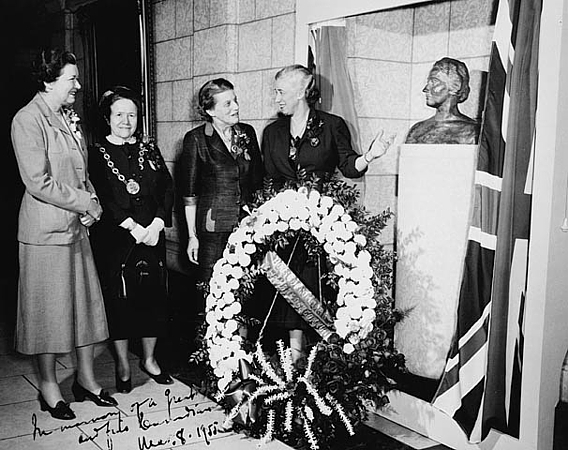 By 1943 she was sitting on the Ontario legislature as a member of the Commonwealth Cooperative Federation (predecessor of the provincial NDP and chief representative of agricultural interests) representing York East. In the interim, she fled her small Grey County community to the anonymity of the city centre to protect her fourteen-year-old cousin, Ruby Campbell. 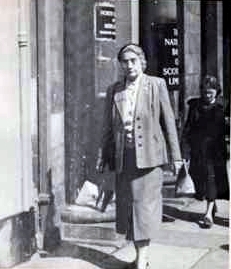 Ruby Campbell was the youngest daughter of Agnes' sixty-eight-year-old maternal uncle. Robert Campbell had been lapsing into depression and mental illness following a partially debilitating stroke, but refused to consult a physician, claiming the doctors would steal all of his money. His behaviour towards his family was increasingly belligerent as he subjected them to verbal abuse. 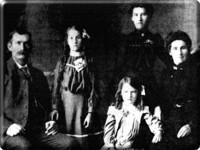 One morning, a quarrel erupted which involved the whole family, during which young Ruby went upstairs and returned with her father's 22-caliber rifle. She pointed the rifle at his chest and ordered him out of the house; when he refused, she pulled the trigger. MacPhail immediately secured the services of an old friend from a prominent firm, who got the magistrate to agree to try Ruby in juvenile court. After they secured the girl's release, Agnes whisked her cousin to her Toronto home, where she would be removed from the small-town gossip in Grey County. Inspired by her older relative, Ruby graduated from the Toronto Teacher's College in 1951 and went on to become a lawyer in the city. Agnes, however, began slowing down shortly after her entry into provincial politics, suffering cerebral thrombosis in 1945. Her doctor advised her to rest, to which she replied, "So I don't live long, I'll live what's left doing what I want to do." 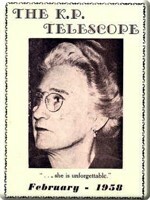 3 In the assembly she fought for women's rights, and was responsible introducing Ontario's first equal pay legislation. 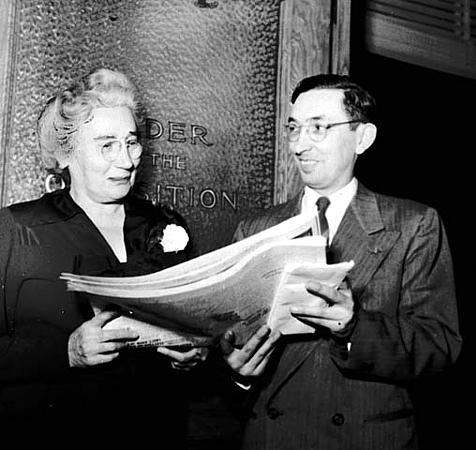 Taking off a few years to recuperate from her illness, Agnes returned to the legislature in 1948, where she remained until 1951. During her final years, Agnes maintained her multitude of acquaintances, and drew emotional support from deep friendships with other women that went as far back as their school days together. She remained interested in the fortunes of the CCF, advising its younger members and continuing to speak at functions and events, despite her talk about settling into a quiet retirement. Her report on the status and welfare of Ontarian women remained unfinished on her desk as she suffered a heart attack at the age of sixty-three. 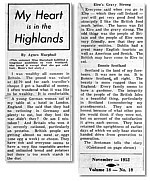 "My Heart is in the Highlands"